The ever-growing application of deep-ultraviolet (deep-UV, λ < 200 nm) nonlinear optical (NLO) materials in various fields requires searching for candidates to generate the deep-UV lasers through direct second-harmonic generation (SHG) method. Among them, fluorooxoborates, benefiting from the large optical band gap, high anisotropy and ever-greater possibility to form non-centrosymmetric structures activated by the large polarization of the functionalized [BOxF4-x](x+1)- (x =1, 2 and 3) building blocks, have been considered as the new fertile fields for searching the deep-UV NLO materials.1,2 Two series of fluorooxoborates AB4O6F (A = NH4, Na, Rb, Cs, K/Cs and Rb/Cs)3-6 and MB5O7F3 (M = Ca and Sr)7,8 were rationally designed and synthesized, which not only inherit the favorable structural characteristics of KBBF, but also possess superior optical properties. Property characterizations reveal that these two series possess the optical properties (deep-UV cutoff edges, large SHG responses, improved growth habit and also large birefringence to ensure the phase matching behavior in the deep-UV spectral region, etc.) required for the deep-UV NLO applications, which make them potential candidates to produce the deep-UV coherent light by the direct SHG process. 个人简介：Prof. Kui Yu joined Sichuan University in 2014 with a Yangtze River Scholarship chair position, awarded from the Ministry of Education, P. R. China. 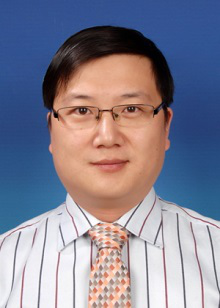 Dr. Yu services as Executive Editor for ACS Applied Materials & Interfaces. Dr. Yu earned her Ph.D. from Department of Chemistry, McGill University (Canada) and went to Sandia National Laboratories (USA) as a post-doc fellow and a limited term employee. Dr. Yu joined National Research Council Canada (NRC) in Ottawa in 2002 as an Assistant Research Officer and became Associate and then Senior Research Officer. Since 2002, she started her independent research career, focusing on the research field of colloidal photo-luminescent semiconductor quantum dots (QDs). A worldwide interest in the development of colloidal semiconductor nanocrystals (NCs) has been witnessed in the last thirty years, particially due to their promising energy-related applications, such as light emitting diodes (LEDs) and solar cells. 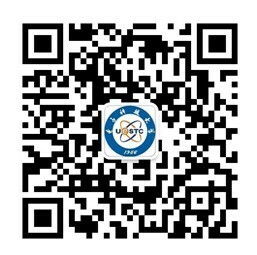 With significant efforts made to improve their syntheses and applications, NC synthesis has been performed as an empirical art, lacking of fundamental understanding of the pre-nucleation stage also called the induction period. Colloidal semiconductor magic-sized clusters (MSCs) have been reported to be a side product of the production of quantum dots (QDs). Meanwhile, their growth relationship has been addressed only in a limited fashion, without consensus reached in the literature. Here, I will present our latest advances towards the fundamental understanding of their formation pathways, using cadmium sulfide (CdS) as a model system. We propose that there are two individual pathways in the prenucleation stage of the formation of QDs. One can be described by the LaMer model of the classical nucleation theory (CNT), the other by the self-assembly of the Cd and S precursors which results in the formation of MSCs. The two pathways are linked also. Based on the two-pathway model (Yu) proposed, I will introduce our latest advances on the synthesis of photoluminescent CdSe helical nanostructures. Our present study brings deeper insights in the prenucleation stage of QDs and moves one step forward towards mechanism-enabled design and synthesis of NCs. In this talk, I will summarize the recent research on the phase engineering of nanomaterials in my group. 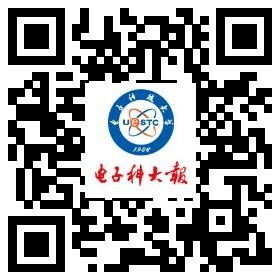 It includes the first-time synthesis of hexagonal-close packed (hcp) Au nanosheets (AuSSs) on graphene oxide, the first-time synthesis of 4H hexagonal phase Au nanoribbons (NRBs), the synthesis of crystal-phase heterostructured 4H/fcc Au nanorods, the epitaxial growth of metals with novel phases on the aforementioned Au nanostructures, and the synthesis of amorphous/ crystalline hetero-phase Pd nanosheets. In addition, the first-time synthesis of 1T'-MoS2 and 1T'-MoSe2 crystals have been achieved. Moreover, the phase transformation of transition metal dichalcogenide nanomaterials during our developed electrochemical Li-intercalation method will also be introduced. Interestingly, the lithiation-induced amorphization of Pd3P2S8 is also achieved. Currently, my group focuses on the (crystal) phase-based properties and applications in catalysis, surface enhanced Raman scattering, waveguide, photothermal therapy, chemical and biosensing, clean energy etc., which we believe are quite unique and very important not only in fundamental studies, but also in practical applications. Importantly, the concepts of crystal-phase heterostructures and hetero-phase nanomaterials are proposed.